Neuvic is a fairly quiet small town to the east of Mussidan. 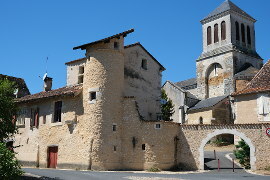 It has an attractive chateau dating from the 16th century. 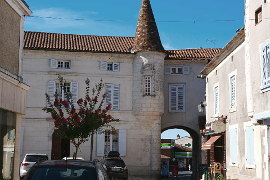 The town of Neuvic has a couple of bars, a few shops and a couple of restaurants. Market days are Tuesdays and Saturdays. Dominating Neuvic is the Chateau de Neuvic built in the Renaissance style and very attractive with its pointed spires. It is situated in a large Botanic park. You can visit the park for free outside of June, July and August. 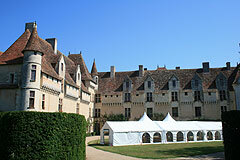 The Chateau is open for guided visits at 15h30 and 17h00 in July and August (closed Mondays). The park is open April to September, 10.00-12.00 and 14.00-18.00, also closed Mondays. 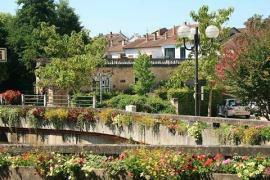 The park covers six hectares and contains a good selection of trees and shrubs. 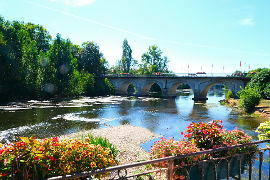 You can walk along the river to the 'Bain de Diane' an 18th century grotto. On the edge of the town are a couple of lovely colombage buildings which have been beautifully restored and are left open so that you can explore the inside of them. There are a couple of rooms for living in, a bread oven and an area for the animals. Typical for small farms of their era. These are traditional buildings of the area and you can see this style of half-timbered building scattered throughout the Dordogne area. They are known as the 'Maisons Doubleaudes'. From the Maisons Doubleaudes you can do a pretty little detour. 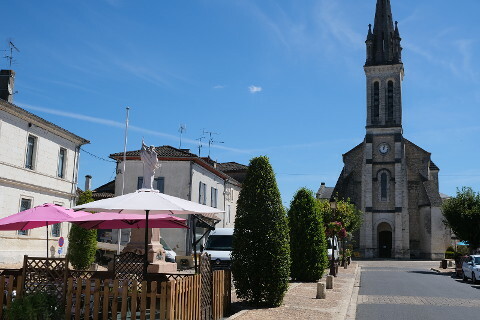 Stay on the road behind the Maisons Doubleaudes (the road which forks off the RD44) and continue over the River Terme (which has split in two at this point), continue to a little road signed Les Leonardoux and on to the tiny river beach. 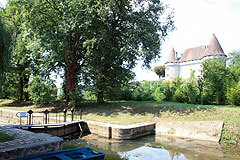 Leave the car here and one minutes walk to the left there is a pretty lock and the private chateau de Mauriac. Cross over the lock to see the River Isle with the château rising above. Very pretty. Taking the other direction it is possible to walk from here along the River Isle to the Maisons Doubleaudes (where the RD44 meets the river walk along the RD44 a short distance to the right to see the houses). 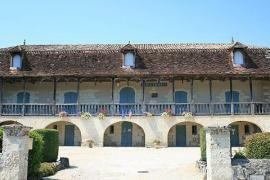 A few kilometres to the north of Neuvic is the village of St Germain du Salembre with its beautiful chateau. More of a large house really but it has a couple of very pretty balconies. 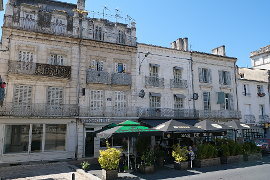 Saint Astier is also nearby and has an attractive centre. It has an important limestone quarry that you can visit if you are interested.